More and more states are passing anti-harassment laws to combat harassment in the workplace. Businesses of all sizes have to comply with these new laws. In 2019 four more states have placed such laws into effect. They include California, Delaware, Maryland and New York. Below is a summary of the requirements for each state. Sexual Harassment Training: California employers with at least five employees will have to provide at least two hours of sexual-harassment prevention training to supervisors and at least one hour of training to all other employees, conducted this coming year and every two years thereafter. [SB.1343]. 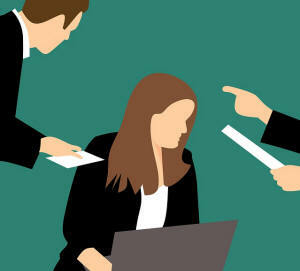 Discrimination and Harassment: Among other things, curtails an employer's ability to utilize non-disparagement clauses and certain waivers for claims asserted under the state Fair Employment and Housing Act. [SB.1300]. Discrimination against Service Members: Prohibits employers from discharging or halting benefits of an employee for being a member of the military reserve or because of ordered military duty or training. [SB.1500]. Sexual Harassment Training: A new Delaware law will require employers with 50 or more employees to provide sexual-harassment training to current workers within the next year, or within one year of hiring new employees. Training must be offered every two years thereafter. [HB.360]. Training Wages and Youth Wages: Creates a minimum training wage and youth wage of no more than $0.50 less than the state minimum wage. Training wage applies during the first 90 days of employment of an employee who is age 18 or older. [HB.483].